Sunrise Beach condominium was completed in the first quarter of 2006. It is located just east of Pier Park in Panama City Beach. The property holds roughly 348 feet of pristine beach frontage and includes 213 residential condominiums that stand 23 stories tall. Sunrise Beach contains a fully staffed lobby and reception area. The gulf front sun deck is located above the parking garage and contains two pools, two Jacuzzis, and a play fountain for the children. There is also a nice sized fitness center on this same level that looks out over the pool and Gulf of Mexico. 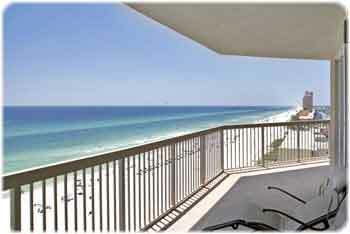 Sunrise Beach condominium has one, two and three-bedroom floor plans. Created on 12 December 2010 .